A lot did happen in this season’s finale. We lost two major characters who’ve been with us for many seasons, which makes me think the show might be going for some sort of soft reboot. This season has been a let down of some kind to me; I feel the show has gotten to its apex and should take a bow before it gets any worse than it already has. The Winchesters vs The spawn of Lucifer. Both came to a climatic end of some sort in this two episode season finale. After getting free in the previous episode and stabbing Crowley’s lifeless body, Lucifer set out to find his son. The reunion never happened, not for lack of trying but for the reason we all know – The Winchesters. Haha!! As for the British men of letters, I’ll say they’re one of the worst villains of this show (if not the worst). Their characterization was all over the place, switching from bad to good until they finally settled for killing all the American hunters in what I feel is the most uninspired plot for such grievous action. I’m happy every last one of them is dead (especially Mrs. S). Save for the mysterious voice at the other end of the phone, season 13 might not waste time on that silly organization anymore. Castiel was stabbed at the back by an emerging Lucifer. The Winchester boys weren’t let to grieve two of their long time companions when their mother (Mary) sacrificed herself to trapped Lucifer on the other world. The boys returned inside the house to find Kelly lifeless and bloodied footstep of a grown lad away from her corpse. Same followed the tracks and discovered a grown child of about 8 years, naked, crouched, an evil grin on his face and his eyes flowing yellow. Talk about an evil child. Lest I forget, Rowena (Crowley’s mother) also died in this episode: Lucifer killed her off-screen. Mehn! Too much loss. Supernatural returns for its 13th season later this year. Someone died and it wasn’t Iris. Remember when HR was introduced as a version of Harrison Wells from Earth 19? He came with a new toy that allows him wear the face of anyone. That toy came into play this episode; HR took the face of Iris somewhere along the line and sacrificed himself do that Iris might live. This heroic sacrifice of him caused the future to be restored and Iris to write the article when The Flash got missing in Infinite Crisis. I keep wondering why no one is talking about Barry missing in the year 2024. Savitar (Evil Barry) got to unveil his ultimate plan immediately after the shenanigan of Iris’ survival. He intends to split his existence throughout time, the past, present and future, that way the paradox of Iris’ survival won’t be able to wipe him out of existence. It was a nice plan but it lacked substance because Savitar required Cisco to make it happen. Instead of Cisco doing so, he causes the Speedforce bazooka to instead release Jay Garrick from his speedforce prison. In all the scuffle that ensure, Killerfrost (or should I say, a new version of Caitlin) saves Cisco from Savitar. It’s all fun and chill, three Speedsters, two Vibes and a host of others take on Savitar. I found it ironic that Iris was the one who struck the final blow – shooting Evil-Barry at the back before he could hurt good Barry. 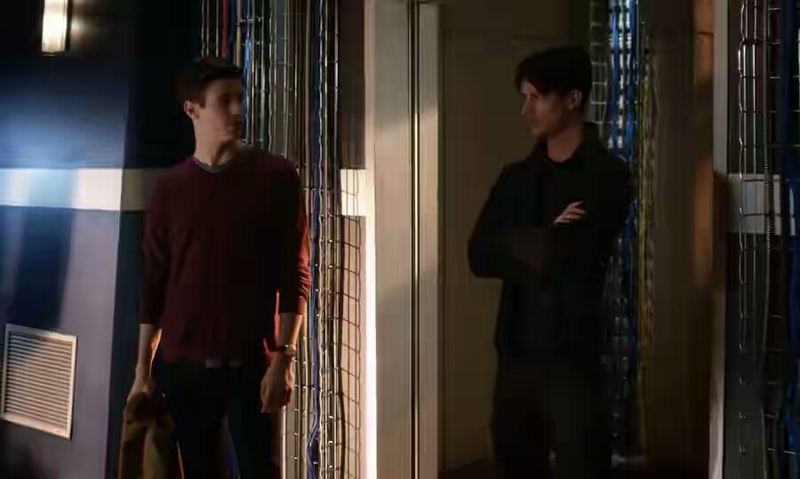 You should find time to ask, why Barry couldn’t phase into Savitar’s suit all season. Since that was a possible thing, why wait till now to execute in the name of anger. It isn’t The Flash if they don’t leave us with a cliffhanger into the next season. Because Jay was released from his prison the speedforce was short an occupant and decided to descend on the whole city in the form of special coloured lightening. Barry ever the hero sacrificed himself to save the city and invariably the world. This season of The Flash has been fairly predictable, and I’m glad the producers hope to revamp the show by leaving the formula of unmasking an evil speedster. It did work before (especially the first season), but now, it’s extremely annoying. After building all season towards revealing Savitar as a force to be reckoned with, he finally was shown to be a weaker version of Barry – sort of a let down. In all, this season of The Flash could have been a whole lot better. Hopefully, next season turns out fantastic. The Flash could take a cue from Arrow and get their act together. He came alone, but left with many. His name is, Prometheus. Rarely do we get a show that lost its way gain back its bearing. But that’s what Arrow did with itself this season, all thanks to a worthy villain, the kind we love to hate. I must confess, a part of me hope Prometheus would be given his own spinoff; the character was just too good. He had a good run and a more befitting send off, one that ensures he won’t be sticking around come next season, but here’s to hoping Arrow doesn’t lose its way again. 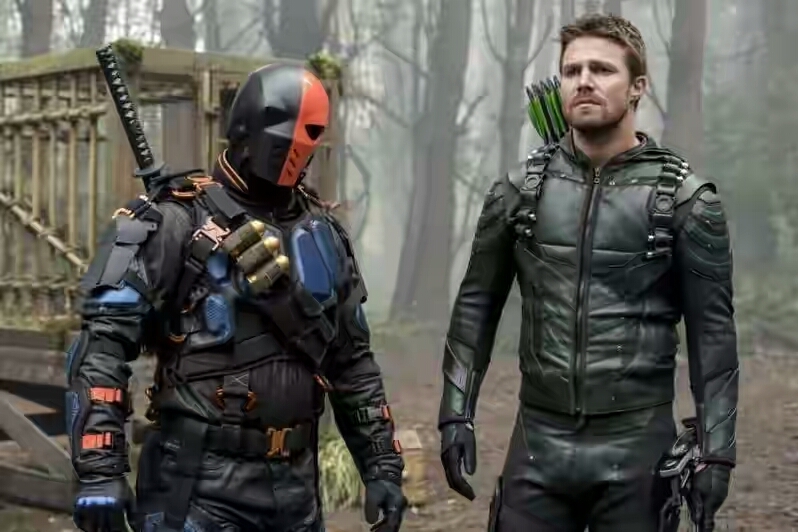 This episode saw the permanent loss of two players in the Arrowverse – Malcolm Merlyn, who’s been with us from the start and Captain Boomerang, who’s almost never been around. The man behind the Dark Archer (John Barrowman) intends to go unto other projects, that I get; his sendoff was great as there’s no greater love than a father willing to die for his daughter even when she resents him. If there’s one thing Prometheus/ Adrian Chase had always made clear all season, it’s that he’s always one step ahead of Oliver. He made it clearer in the finale ashe gave Oliver not much of a choice – kill me and save your son to lose your friends, or save your friends by leaving me to kill your son. See, not much of an option. Oliver does find a loop hole to recover his son (William) from the clutches of mad man Chase, and this forces the hand of arguably the greatest villain in the Arrow verse. Adrian Chase committed suicide. I almost didn’t see that coming. Yes, Adrian behaved suicidal for the greater part of the season, but I believed it was to send Oliver a message and not simply because he didn’t have any other thing to live for. But as it turned out Oliver resolve to not kill waned stronger, Adrian blow his own head. Through whatever form of science his death caused the spontaneous detonation of C4s placed all round the island. It wasn’t clear if Oliver’s friends got on the boat as Oliver directed, but I get we’ll have to wait till next season to see who died and who didn’t. Those on the island were: Thea, William’s mother Samantha, Felicity, Rene, Curtis, John, Dinah, Laurel 2, Evelyn, Captain Lance, Slade Wilson, Nyssa, Talia, and a host of others without a name. All our fan favorites are there, so unless the producers have in mind to reboot the show like Once Upon a Time intends to do, I almost certainly believe that Team Arrow will be intact. It was a wonderful ride. Arrow s5 was one of the shows I looked forward to weekly. Thank you Greg Berlanti for upping your game. A big thank you to the writers, producers and directors for a wonderful job. Wow! It’s been one heck of a season with so many twist and turns. There’s death, blood-loss, betrayal and so much more. Sunny and Quinn got to finally have their standoff, and it went a little more than we’d hoped. Sunny lost one closest to him, in one sacrifice that’ll see the baddest Clipper in all the Badlands as a father as the series progresses. Tilda did survive the duel with her mother last episode (I guessed it already), and she got to sail away into bliss with her girlfriend. The Widow got to offer Waldu the thing he craves the most, Baronage. Waldu becomes the Baron in another move by The Widow towards survival. I so much love the Widow: she’s unarguably my best character this season. Who else?… Lydia. Quinn’s wife did survive this season; that woman is a real survivor. Most surprising of all this finale is Baije, and how much lies he’s been telling. He’s closer to achieving Azra than we think. At this point, Azra is seeming more like an endgame for most characters than another location. Time will tell as it goes. This season has been decent, though it suffers from what most sophomore seasons of sleeper hits do – the zeal to not stray far from what made their series a surprise hit in the first place yet still progressing the storyline. Sunny’s escaped the Widow’s clutches, but he needs to make a pit stop on his way to Quinn’s territory. If you’ll recall, Waldo had clued him into the location of ye old Clipper shed, which boasts (among other things) a sick-looking motorcycle and some new duds for him to change into. This is the third wardrobe change Sunny’s performed in as many episodes, but it’s always nice to see him back in that familiar shade of blood-red. During the makeover montage, we get Quinn monologuing to baby Henry about his willingness to protect his family — no matter how much blood is spilled in the process. Waldo remains skeptical, so the Widow presents him with an offer he can’t refuse: a Baronage. The Widow seems to have a bead on exactly how to cater to someone when they start to show signs of disloyalty. It’s what makes her one of the deadliest foes in the Badlands: her ability to discern someone’s most deep-down desires. Waldo points out that there’s no way for the Widow to know he won’t use his resources as a Baron against her, but the Widow counters with her own interpretation of the situation: Waldo isn’t a traitor, he’s a survivor — and if he wants to look after his own interests, he’s going to need her in the coming days. Quinn’s now graduated to giving his Loyalists a motivating pep talk — probably a good idea, given that Sunny is one of the deadliest men in the Badlands (something that Quinn himself readily admits). His rallying cry is interrupted, however, by Lydia’s attempts to spin doubt in his men’s minds. She reveals Quinn’s ultimate plan, and the fact that he’s rigged the whole station to blow up. One way or another, they’re all going to die. Lydia doesn’t get the reaction she was hoping for, though; turns out Quinn has already clued all of his men in on the specifics. They know what’s in store, and they signed up anyway. As for Quinn, Lydia’s endeavor to corrupt his men is the final nail in her coffin. He’s willing to forgive her literally trying to kill him, but this appears to be on a different level entirely. Lydia knows he won’t be the one to kill her himself, and she’s right. Quinn has her dragged away, even as Lydia vows to live until she can watch Sunny kill him. The relationship between M.K. and the Widow is still in a fairly tense place. He doesn’t want his powers back, she wants to force them back on him. When Bajie gets dragged in by some Butterflies M.K. soon realizes that his friend has had some pretty selfish motives all along. He went to the monastery not only to help Sunny, but to steal the compass from the Master’s quarters. He showed up at the Widow’s sanctuary not just to help, but to try and get the Azra book. Bajie’s pleas fall on deaf ears, and M.K. walks out on him. As for Bajie’s livelihood? Well, that all depends on whether or not he translates the book for the Widow. Tilda’s alive! She’s coughing up blood and currently stashed in one of the Widow’s prisoner cages, but she’s alive. Thankfully, she only has to put up with Bajie’s attempts at dry humor for so long; Odessa comes in shortly thereafter to free her. She balks at the idea of freeing Bajie too, which leads Tilda to discover that Odessa was the one who tipped the Widow off about him and M.K. in the first place. Even though Tilda wants to help, she’s not in fighting condition right now — and Bajie admits he’s no match for the Widow despite having trained her. The only one who can help M.K. now is Sunny — and he’s likely on a suicide mission. Tilda frees Bajie under one condition: that he go after Sunny himself. (Also Bajie calls Odessa Tilda’s “weaselly little friend”, which is amusing but also pretty rich coming from him.) They hotwire a car and use it to escape, dropping Bajie off a short distance from the station. The last we see of Tilda and Odessa, they’re driving off into the sunset – or, more accurately, the snowy horizon. Meanwhile, M.K. and the Widow are still having their little tete-a-tete; he calls her out almost instantly on her shenanigans. If he does get his powers back, the first thing he’ll do with them is kill her. The Widow makes her own offer: if she wins, M.K. becomes her instrument. This just took a really dark turn, y’all. Speaking of dark, Sunny’s finally made his way to Quinn’s station, and it’s quiet – too quiet – until a baby’s cry pierces the silence. Quinn’s standing with Henry in his arms, but if Sunny wants to get to him he’s going to need to go through the dozens of Loyalists armed with crossbows holding flaming arrows. Sunny brandishes Silver Moon’s sword and cuts his way through them, but he’s not invincible – one of the arrows catches him in the chest, and another in the leg. Before he can endure another onslaught, Quinn fires one of the arrows at a rigged explosive, burying Sunny in the rubble. If Quinn thought that was enough to knock a good man down, he thought wrong – Bajie shows up just in time to drag him out, and the two of them start slicing their way through the remaining Loyalists. You haven’t seen blood spray on this show until you’ve watched this finale episode. These bros have no chance, but it’s thoroughly, viscerally entertaining to watch Sunny and Bajie cut them down to size. A reunion between Sunny and Veil is overdue at this point, but it’s super swoonworthy to watch Veil suddenly sense Sunny is there just before he kicks open the locked door and pull her in for a smooch. (Which, damn. That kiss should win its very own EGOT.) They’re interrupted by a Loyalist who broke off from the main group, but Bajie’s there to take care of it so Sunny and Veil can go get their son. Once the sidekick has been thoroughly subdued, Bajie starts to walk away, effectively ignoring the one rule of combat: always make sure your opponent is 100% dead. Although Bajie recovers long enough to get the upper-hand with a broken piece of windowpane, the Loyalist gets off a stab before he dies. Bajie is just as determined not to suffer the indignity of death by scissors in the gut as I am not to watch him die on-screen. That brings us to our final face-off, the big moment, the one everyone’s been waiting for: Sunny versus Quinn. Quinn warns Sunny to put down his sword if he cares about his son, but Veil’s whispered response in Sunny’s ear is defiant and determined: “Kill him.” She’s got faith in her man, that’s for sure. The swordfight that follows is beautifully choreographed and full of murderous intent. One of these men is not making it out alive. When Veil tries to escape with Henry, Sunny takes advantage of Quinn’s distraction by throwing his sword through his chest. One would think that would be enough to fell Quinn for good, but they launch into another set of blows before Sunny gets the upper hand and stabs Quinn again. Finally, finally, Sunny and Veil get to have their own version of a family reunion, and finally Sunny gets to hold his son in his arms for the first time. Maybe this is the cynic in me talking, but it all feels a little too easy – and I’m devastated to be proven right. Real life doesn’t always get a happy ending, especially not in the Badlands. Sunny’s been trying to get back to his family since the beginning of the season, only to have it ripped away from him before they can reach the light. Quinn manages to grab Veil, but offers to release her in exchange for Henry. Veil pleads with Sunny to take Henry and go. In the end, Veil makes the decision to drive the sai Quinn is holding against her neck through the both of them. Quinn finally lies dead, and with her own dying breaths Veil asks Sunny to make her a promise: to teach Henry to be good. Oh, Veil. 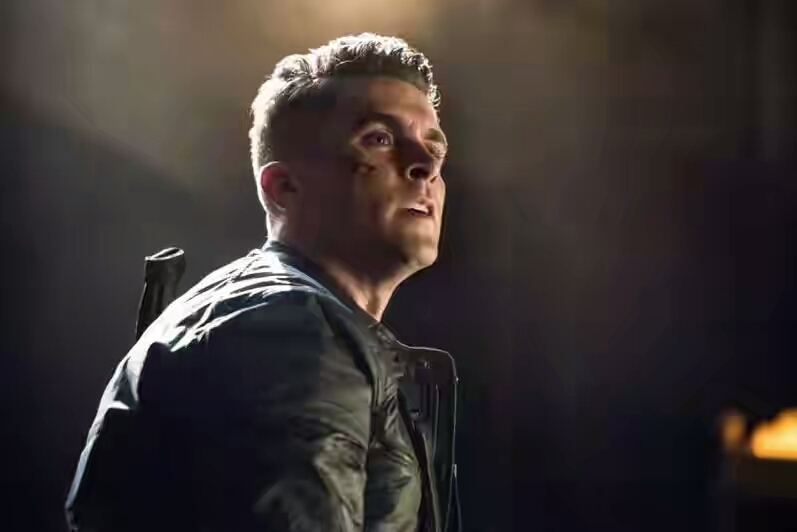 You deserved so much better than this storyline, but if you had to go, taking Quinn out with you was bittersweet in its badassery. Bajie’s actually made it out of the station, and takes Sunny’s motorcycle to a location we’ve never seen before: a remote broadcast tower. Now equipped with both the compass and the book, he puts the two together to activate a series of dials. As he slumps over the controls due to blood loss, we hear the signal going out – to Azra, perhaps? We’ll have to wait until season three to find out. If you’re a fan if The Big Bang Theory you shouldn’t be a stranger to the name, Sheldon. Yes, the all knowing nerd. That’s him. He’s having his own spinoff. Not exactly… it’s a story about his younger self. Many years before the young man we came to know in the CBS hit show. Whatever pit of creativity this idea came from time will tell if it’s a good move. One thing I’m confident is the non-shortage of fans when it does premiere. The question is if the show’s content will be encouraging enough to keep viewers hooked. Personally, I don’t think CBS would gamble with one of their most bankable characters if they weren’t sure he would be able to hold his own show. 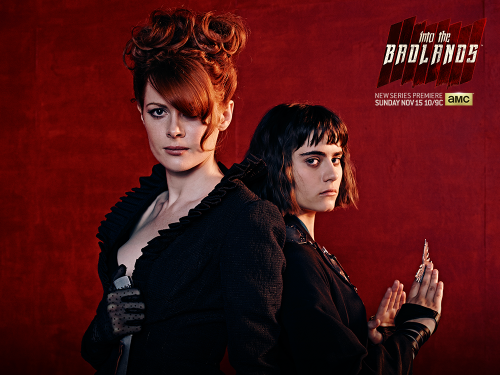 AMC’s Into The Badlands was one of the new shows of 2015 that had in it surprisingly fresh breath. It came as no surprise when fans clamoured heavily for the return of the show that put martial art at the forefront once again. With so many compelling characters it’s difficult to decide on which to love exceedingly. Fortunately or so, today our attention is on The Widow and her household. The Widow (Minerva) has been one woman who’s fierce and a perfect example of what women strength should be. So fierce is her resolve to do things right by her believe and all she holds strong that she’s ready to sacrifice whatever it is that stands in the way of this dream – including the daughter we all thought was her all in all. Tilda has been an echo of confusion this season. Her allegiance to the Widow shown to be shaky from the very beginning of the season, culminating with the various inputs she’s been getting from various sources, including her new female love interest. Next episode should reveal how much of damage their confrontation has cause to The Widow’s cause. This is news. It’s not the kind of stuff we hear everyday. RR heard authoritatively that Supernatural intends to feature world famous detective squad in an animated episode next season of the elongated show. RR looks forward to the episode with so much anxiousness, more because of Scooby Doobi Doo!!!! Helping you review your favorite movies and TV series.